The Bradenton Blues Brunch is Sunday, December 8, 2019, at 11am–2pm at Mattison's City Grille Bradenton Riverwalk. Doors open at 10:30am. A limited number of tickets are available. The band will be centered in the venue for optimal viewing and sound. 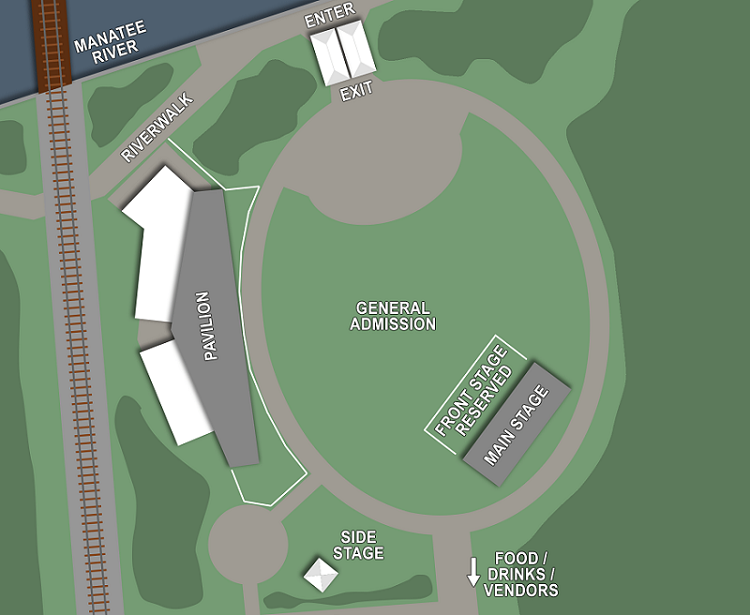 Seating location is based on time of ticket purchase (the earlier you purchase, the closer you will be to the band). ***Enjoy a three-course, seated-and-served brunch created by award-winning Chef Paul Mattison, featuring a complimentary Bloody Mary bar, wine, beer, and non-alcoholic beverages. Live performance by The Divebombers. FIRST COURSE: Southwestern Quiche arugula, roasted corn, charred tomato, chimichurri vinaigrette. SECOND COURSE: Corned Beef white & sweet potato hash, bacon, confit tri-color peppers. THIRD COURSE: Blintzes hazelnut cream. *Vegan option is available at checkout. The Bradenton Blues Brunch is coordinated by Mattison’s City Grille Bradenton Riverwalk; Realize Bradenton is only offering ticket sales for this event. ***BRUNCH ADDRESS: Mattison's City Grille Bradenton Riverwalk, 101 Riverfront Blvd., Bradenton, FL 34205. Seating is assigned based on time of purchase.